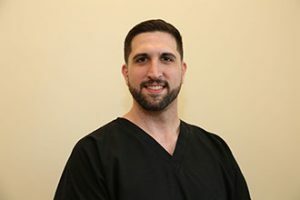 Steve is our head PT Aid and has been a Certified Personal Trainer for 6 years. Steve joined our team at Elite in December of 2015. As our head PT Aid, his focus is on assisting patients with proper exercise form to regain strength and function. Steve also works as a personal trainer at New York Sports Club in Butler, NJ. During his free time, he enjoys playing basketball and working out.